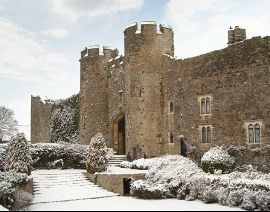 Arrive on Christmas Eve to an afternoon tea, followed by a Champagne reception and an exquisite six-course tasting menu finishing with port and mince pies while listening to local carol singers. 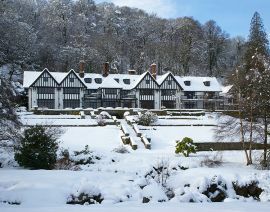 Christmas Day is spent indulging in a decadent six-course festive feast followed by afternoon tea in front of a roaring log fire and an evening buffet. Unwind on Boxing Day, explore the estate at your leisure, continue to indulge in a festive afternoon tea and finish your stay with a seven-course tasting menu with matching wine flight. A non-refundable deposit of £500 is required to secure the reservation with full pre-payment by 1st November for this package. In the unfortunate event you have to cancel your confirmed booking after 1st November, the full package rate will be charged. With this in mind, we do strongly suggest that you take out holiday insurance.